Lovely croft style house in elevated position near Carbost on Skye. Sleeps 5 people in 3 bedrooms. Open Fire. 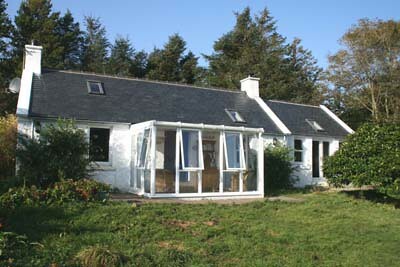 Bayview House is a traditional, stone-built croft style cottage on the Isle of Skye. The property occupies an elevated hillside location three miles North West Carbost with fantastic views over Fiskavaig Bay, Loch harport and MacLeod's Tables beyond. 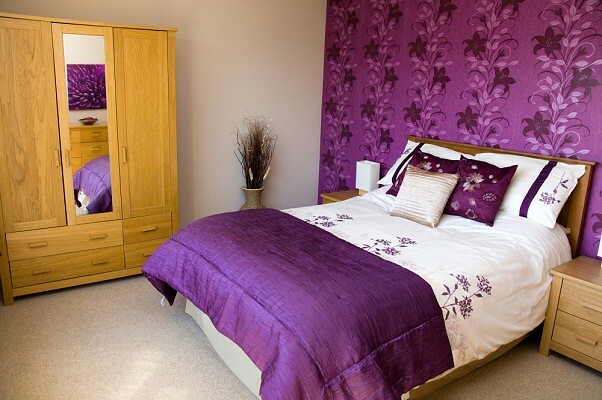 It sleeps five people confortably with sleeping accommodation in a double, a twin and a single bedroom, making it an excellent house for a family. There is also a shower room, a ground floor bathroom, kitchen, dining room and sitting room with open fire. Three bedrooms: 1 x double, 1 x twin, 1 x single. Shower room with shower, basin and WC. Ground floor bathroom with bath, walk-in shower, basin and WC. Kitchen. Dining room. Sitting room with open fire. Oil central heating with open fire. Fuel, power and starter pack for open fire inc. in rent. Bed linen and towels inc. in rent. travel cot. Enclosed lawned garden surrounding cottage. 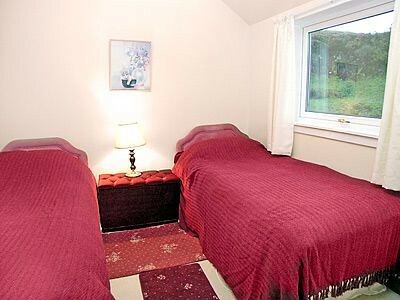 Single bedroom is small and bed can only be accessed from one side only. A brilliant place to escape the rat race. It was peaceful & quiet with a lovely view over the loch. A comfortable, well provisioned cottage, in an excellent location, with stunning views. We had a lovely week at the cottage. 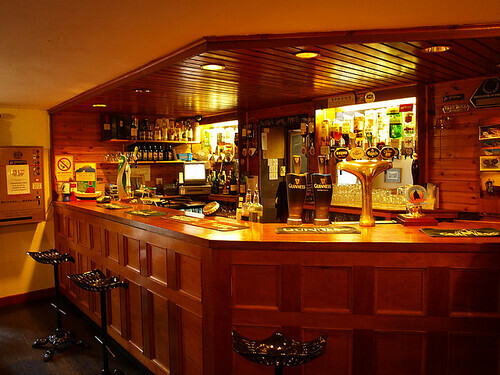 It is in a fantastic location with great views, Skye is well worth a visit. Highly recommend a weeks stay at Bayview House. Beautiful view and a stunning cottage. The pictures of it on line do not do it justice. The kitchen is extremely well equipped. This is a great place. A comfortable, spacious and clean house. Lovely views from all the front windows and a short walk down to a nice little bay when the tide is out. Very quiet location. 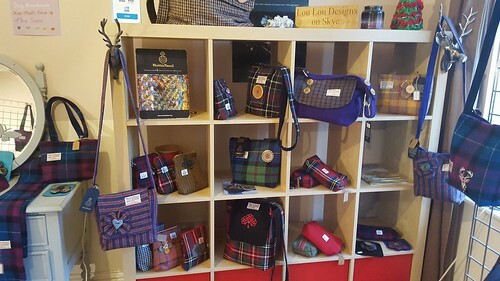 Local designer doing wonderful things with Harris tweeds and other Scottish fabrics in scrumptious colours. Well worth a stop - beware the lure of the wallet! Absurdly sweet cottage on west coast of Skye tucked against a small hillock and equipped with a multi-fuel burner to enjoy those chilly nights in. Overlooks Loch Harport on Skye's west coast. Sleeps 2. Terraced house in village of Carbost overlooking Loch Harport. Sleeps five people in three bedrooms. 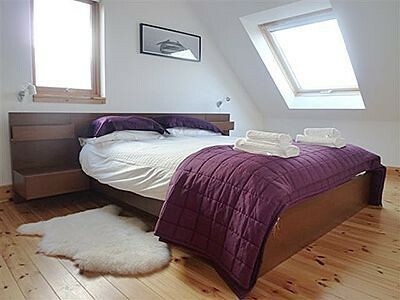 Detached cottage overlooking Loch Snizort near Portree/ Sleeps four people in two bedrooms. Conservatory.